Michael McFadyen's Scuba Diving - Halifax Park What was considered one of the best shore dives in NSW, if not the whole of Australia, was Halifax Park at Nelson Bay. Nelson Bay is located on the southern shore of Port Stephens, north of Newcastle. 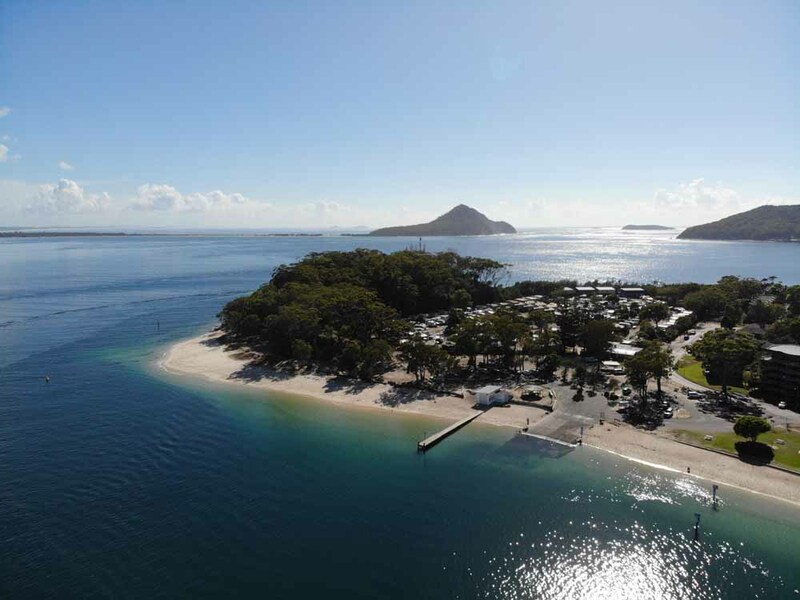 The Port Stephens area is only two to two and a half hours from Sydney and makes an ideal weekend dive location. Halifax Park looking towards the Pacific Ocean. The dive starts and ends at the top of the beach. Note all the sand compared to the next photo. Until about 2009 this was a brilliant site. However, around this time a huge amount of sand started to be deposited at this site. What was formerly a small beach and then a rocky entrance quite rapidly became a very wide beach and a sandy bottom right down to the deepest part of dive site. When I dived it in October 2010 it was not too bad, with most of the reef not affected apart from the very shallow sections. However, by May 2012 the sand had covered all of the smaller reefs that previously were above the sand. There are now only the larger reefs free of sand as well as a few of the smaller reefs. Generally, this dive is only done on the peak of an incoming tide. Enter the water at the time given for high tide in Sydney Harbour (Fort Denison) and drift with the tide. You will get about 20 to 30 minutes of drifting with the current before the tide changes. However, years ago I dived here mid-incoming tide and just after high tide with no problems as well as at low tide. All you need to do is modify your dive to suit. For example, on an outgoing tide, I enter the water at the southern end of the site and swim out about 50 metres (or until the sea floor drops away) and descend here. Drifting with the tide, you can explore nearly the whole site while travelling towards the ocean. Of course you will get a shorter bottom time as you are only covering the site once. On an incoming tide (before actual high tide), enter at the far northern end of the beach (you no longer need to use the rough track that runs along the water's edge). Swim out to the north and descend. Follow the reef back to the south and exit at the end near the Waterways Authority wharf. At high tide, enter the water at the same spot as the above dive and exit at the same location. At low tide, enter at the southern end as described above. 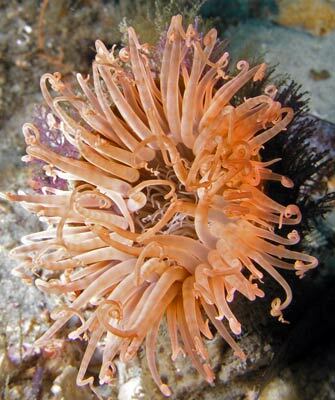 As the main dive here is done at high tide, I will explain this dive in a bit more detail. At the northern end of the rough car park, there used to be a cleared pathway across the rocky shore. Note: as of late 2010 the whole shoreline has changed. There is now at least 30 metres of sand from the shore to the water's edge at some high tides. This was probably caused by the local council illegally installing a rock groyne near the boat ramp to the south about Easter 2010. This caused a huge amount of sand to build up on the shore and down to 18 metres. At first the sand was only at this depth towards the southern end of the dive site, but now it is the same over the whole site. Walk in till you are waist deep and don your fins. Drop straight to the bottom and head out to the left side of the channel marker. At six metres there are a few new items, put here sometime in 2003. There are two large stone cairns, one with some pipes in it. The gap in between the two cairns is aimed right at the entry/exit spot. There is also a steel post with a "Stop" sign and on the other side a "No Stopping" sign. There is also what appears to be a letterbox, although it may be a bird house. In 2005 there was a fake artillery gun here as well. These structures are still visible even after all the sand build up. The bottom used to drop in a few small walls and slopes to the sand bottom at 25 metres or so. The walls were roughly at 6, 10, 15 and 21 metres. Now they are not as obvious as before. It will take you about five or six minutes to get to the bottom. Turn left here and drift with the tide. There were small walls, isolated rocks and huge amounts of sponge life all over. Now there are only some isolated rocks, some with sponges on them. 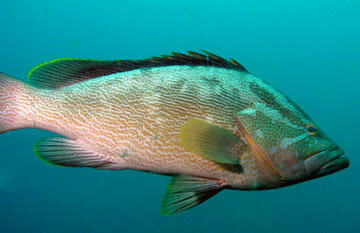 You will see large schools of bream and leatherjackets and lots of other fish. 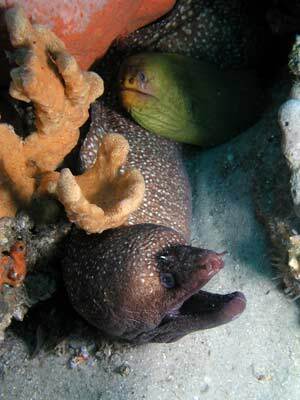 There are plenty of moray and moasic eels, cuttlefish and many tropical species to be seen in, on and over the reefs. It is now probably better to follow the slope rather than the bottom as there appears to be more reef there. Look under all the small overhangs. 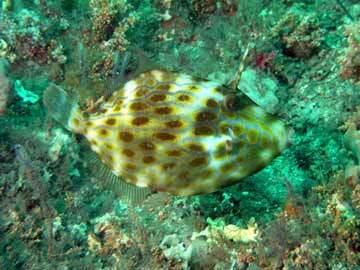 As you drift, you will see small wobbegongs and Port Jackson sharks, blind sharks, giant flathead, small rays and even white-spotted shovelnose ray. The depth of the bottom gradually comes up to 21 metres. After about 20 to 30 minutes you will find the tide eases. In addition, you will have used more than half of your available bottom time so come up to the top of the wall/slope and head back with the tide at a depth of about 19 to 20 metres (or go against it if it is still running in). Once again, after about 15 minutes, you will be back in the same location where you met the bottom. You may have only a few minutes of bottom time left so ascend to around the 10 to 5 metre mark and explore a bit. Come back into the shallows and exit at the same location that you started. You can also exit in other spots. As to what I think of the site itself, well, the term "amazing" is generally overused, but in this situation it barely did the site as it was before justice. In some ways Halifax Park is like Shiprock in Sydney but on a far greater scale. 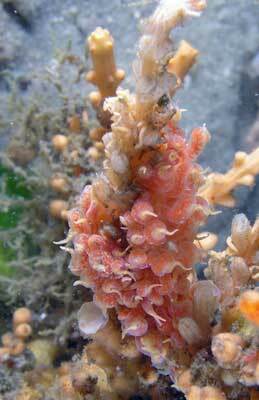 The fixed fauna of the site is very much like that at Shiprock, including soft corals, sponges, sea pens and sea squirts etc. 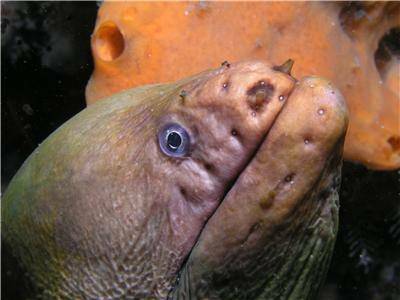 Fishlife includes very large moray eels, huge schools of luderick, bream and yellowtail. 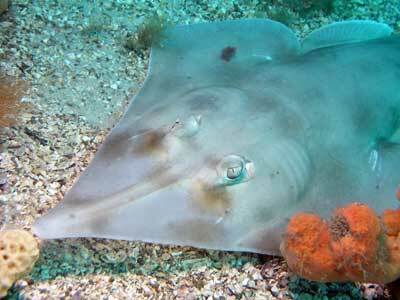 There are also a lot of cuttlefish and plenty of tropical species. 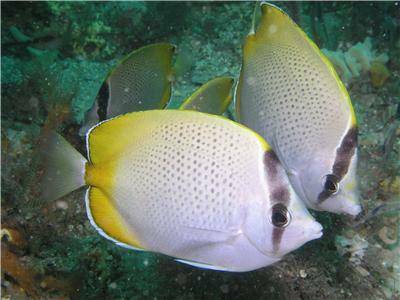 Things I have seen here are firefish and numerous species of butterflyfish, including lots of Gunther's butterflyfish. 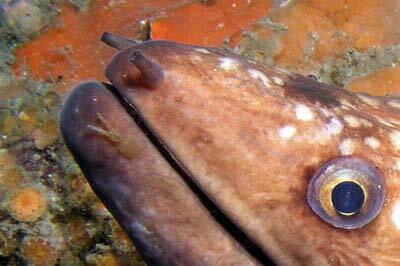 On one dive in June 2000, I saw thousands of striped butterfish, a species reported to live only in tropics. Of course one of the big advantages of diving at Halifax Park and Fly Point is that as shore dives, the cost to you is only the cost of an airfill. 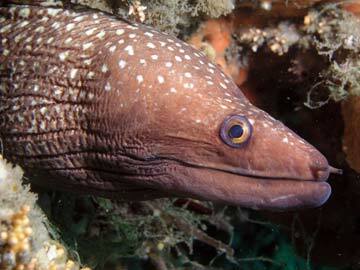 If you co-ordinate your dives, you can easily do four dives at these two sites on a weekend. Cheap accommodation is also available nearby or a bit further afield. See my article on Nelson Bay for more information. 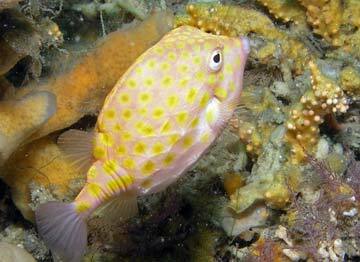 In summary, even though it has been badly affected by the sand build up, it is still one of the best dive sites in NSW. 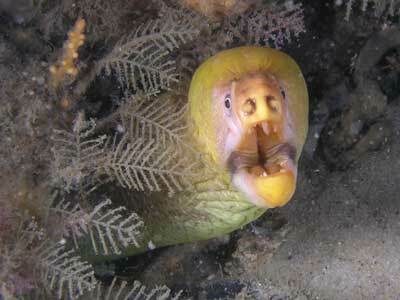 It is also an excellent night dive, one of the most colourful places you will ever dive. Do yourself a favour, give Halifax Park a go.